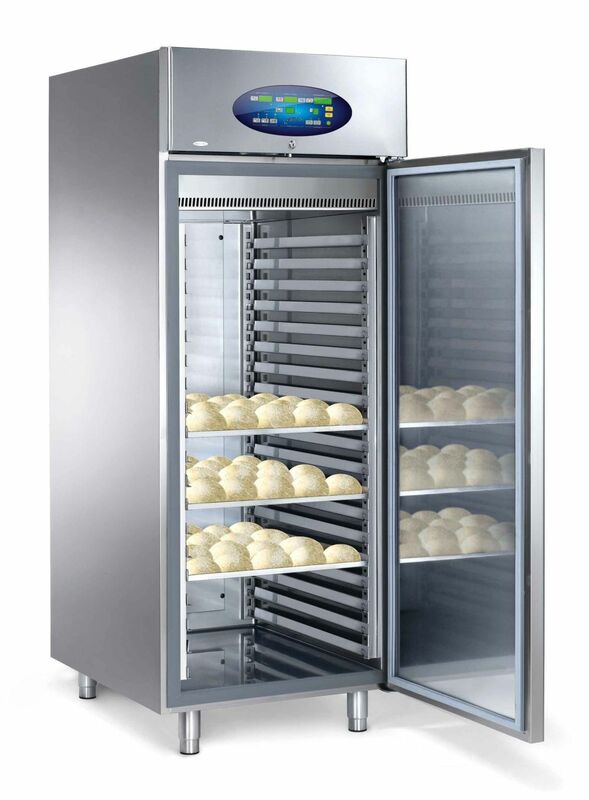 Dough retarder is a refrigerator used to control the fermentation of yeast when proofing dough. Lowering the temperature of the dough produces a slower, longer rise with more varied fermentation products, resulting in more complex flavors. In sourdough bread-making, cold decreases the activity of wild yeast relative to the Lactobacilli, which produce flavoring products such as lactic acid and acetic acid. Dough that is retarded before baking results in a more sour loaf. To prevent the dough from drying, air flow in the dough retarder is kept to a minimum. Home bakers may use cloth to cover dough that is kept for a longer period in the refrigerator. Also see Banneton and Prover.